Milk a yak for the children. No, seriously! Save the Children with the help of Aimee Weber Studio started a fun new project in Second Life affectionately called The Yak Shack! This may seem completely random but in reality, yaks can be a lifesaver for children in Tibet. They provide nutritious milk, wool for knitting and are also used for ploughing. For L$1000 (100% goes to Save the Children,) you get a virtual yak of your very own who will provide for all of your needs in Second Life. 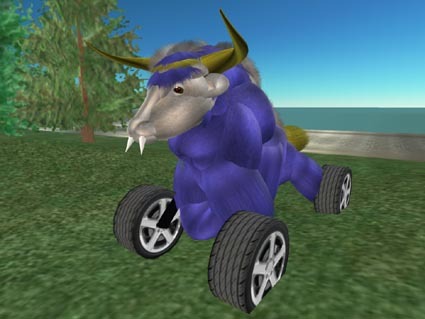 You can ride them with the breakneck speed and acceleration you would naturally expect from a yak. You can knit a new sweater from the yak's wool. If you're lonely you can talk to the yak, but they mostly like to talk about themselves (they are very yak-centric.) If you go AFK while on top of your yak, she may get bored and wander off with you on top of her (that's what you get for neglecting your yak!) And of course, you can milk your yak. Yeah I had to read that last bit a second time too. 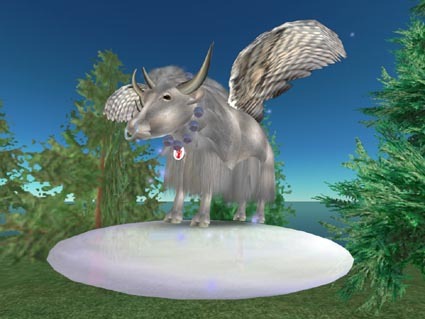 A contest was held for the best customized Yak, resulting in some very creative entries!